Anyone who has attended a conference knows that the most interesting pieces of information and experiences do not come from the presentations themselves, but from the time speaking with other attendees between the presentations. For the past four years, the PHP Usergroup Hamburg, Germany has been organizing PHP Unconference Hamburg for German speaking attendees. With PHP Unconference Europe the idea is being made international. Coffee breaks become a matter of principle. Sessions and coffee breaks are equally long. The speaker list is not defined in advance. The attendees decide upon the topics, in which they are interested. On the morning of each unconference day, a suitable speaker is then chosen. A key concept at an unconference is that the attendees are highly motivated, professional and have detailed knowledge of certain topics. Attendees can request that specific topics be discussed. Anyone else may offer a session or round table discussion on exactly this topic. A summary of all that is discussed is posted into the unconference wiki. As the topics of the session are chosen by the attendees themselves, the actual content of the unconference is perfectly matched to the interests of the attendees. In the case that your specific topic of interested is not presented, you still have the opportunity to talk with other attendees in the numerous coffee breaks. 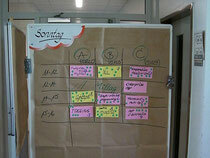 In the Spring of 2007, members of the PHP Usergroup in Hamburg, Germany decided to organize an unconference. In May 2007, 50 PHP enthusiasts came to the event, which mainly addressed the topic of PHP frameworks. The enthusiasm of the attendees and the quality of the sessions motivated the PHP Usergroup Hamburg to organize the second PHP Unconference in April 2008. 120 attendees came to this event, which was focused on testing and comparisons with other scripting languages. The feedback was outstanding: The content of the sessions, presented by the attendees, was on the same level as that at commercial conferences. The unconference entry fee, however, was magnitudes lower! In the third year, the highly generous sponsors enabled the event organizers to provide exceptional food and drink. The number of attendees had almost doubled, which necessitated a new venue. The Geomatikum at Hamburg University became the new home of the unconference. The main focus of the unconference in 2009 was high availability and scalability. The timetable on Saturday again illustrates the breadth and depth of the sessions. See the PHP Unconference Hamburg wiki. The depth of the discussions, the enthusiasm of the attendees and the quality of the talks have motivated us to make the event international. We are either organizers or attendees of the PHP Unconference Hamburg. 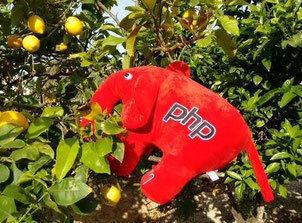 Our goal with PHP Unconference Europe is to address enthusiasts from Europe and the rest of the world. We are looking forward to organizing an inspiring, comprehensive and successful weekend, talking about PHP and related Open Source and web technologies in Manchester.